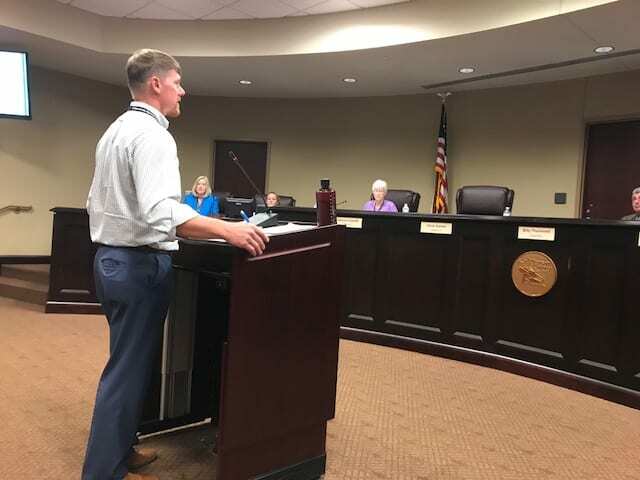 DAWSONVILLE, Ga. — New businesses wanting to move to Dawson County got a major break Thursday when the Board of Commissioners voted 3-2 to reduce impact fees by a whopping 75 percent. Chairman Billy Thurmond cast the deciding vote. The issue still must survive public hearings on March 7 and March 21 before being implemented. Both hearings are set for 6 p.m. It was only six months ago the Board voted to set impact fees at the maximum amount allowed by law. But the Board dynamic has changed significantly since former Commissioner Jimmy Hamby retired in December and was replaced by Tim Satterfield. Hamby was a strong proponent of impact fees and voted to charge the maximum amount percent. Chamber of Commerce President Christie Moore appeared before commissioners two weeks ago to request the reduction saying two businesses had declined to move to Dawson County because of the fees. Impact fees are payments required by local governments of new development for the purpose of providing new or expanded public capital facilities required to serve that development. The reduction also impacts residential development. Instead of a 75 percent reduction, residential developments would only be reduced by 25 percent. District 1 Commissioner Sharon Fausett tried to get commissioners to consider a smaller reduction of 50 percent, but Chris Gaines, who made the motion said he felt the 75 percent reduction was the right amount. “If we see that it hasn’t made an impact like the adverse impact that it’s made now at 100 percent, then we can look at increasing it at a future date,” Gaines said. Fausett pointed out that Bill Ross of Ross and Associates, the firm that created the impact fee study and calculated the maximum amount the county could charge, told commissioners that impact fees do not slow growth. “He’s an expert, and he’s done this for years and years and years. So if he made that statement, I wonder why it’s slowing growth here, and it’s not slowing it in other places” Fausett asked. Thurmond said that the sales tax money generated by businesses has allowed the county to maintain the same millage rate for the past 14 years. The vote was 3-2 with Fausett and Nix opposed and Gaines and Satterfield in support. In Dawson County, the chairman is allowed to vote only in case of a tie. The public will have an opportunity to be heard on the issue in two weeks. In other business, the Board voted 3-1 to censure Nix for disclosing confidential information to a county employee via email. Nix abstained from the vote and Fausett voted in opposition. Nix said she accepted responsibility and publicly apologized for her action saying she had no desire to benefit herself or anyone. “This was just done really to assist an experienced employee just packed with a knowledge and information, who I felt wasn’t getting all of the information needed to really do her job,” Nix said. A motion of censure carries with it no penalty other than the written reprimand. DAWSON COUNTY, Ga. – City and county officials gathered for a day-long retreat at beautiful Amicalola Falls State Park and Lodge Friday to explore ways the two governments – that don’t always see eye-to-eye on issues – might be able to work together for the benefit of all residents. 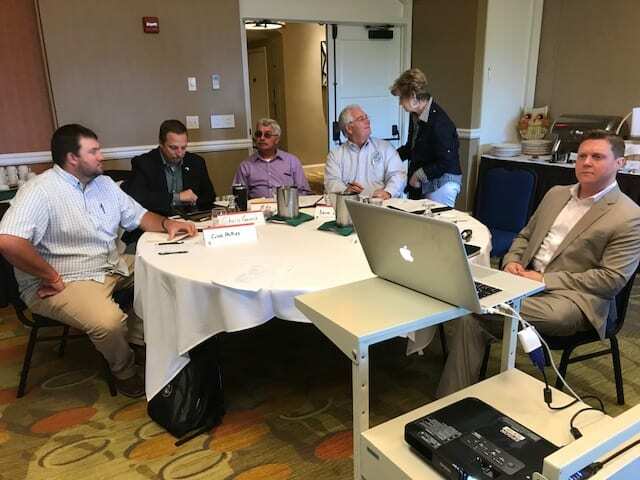 Facilitator Langford Holbrook of the UGA Institute of Government led the joint strategic planning session while leaders discussed broad issues such as goals, a vision for the future and areas of possible collaboration between the two governments. Then they narrowed the discussion to more specific issues like impact fees, the importance of a truck route around the city and a potential local road maintenance and improvement tax. The one goal that was mentioned more than any other was improved communication between the two governments and with the citizens they serve. The session had just begun when Holbrook asked the leaders to identify important goals. Commission Chairman Billy Thurmond, who cited improved communication throughout his 2016 campaign, was first to answer. “We should strive to improve communications between ourselves and with the general public,” Thurmond said. County Commissioners Julie Hughes-Nix, Sharon Fausett and Chris Gaines and County Manager David Headley quickly agreed, as did Mayor Mike Eason and commissioner-elect Tim Satterfield. City officials did take a major step toward improving communications with the public earlier this year by streaming video of their city council meetings onto the website. Citizens who cannot attend meetings in person can now view them at their leisure. The county is also taking steps to provide more information. Last month, Headley requested the position of public information officer (PIO) be added to the 2019 budget. So far, the PIO position has not been added to the budget, but Gaines, Nix and Fausett have all said they support the initiative. Leaders also addressed future trends the two governments need to consider together and how they will impact city and county residents. City Councilman Caleb Phillips quickly identified “transportation congestion.” Satterfield cited infrastructure, including water and sewer and service delivery. City Councilman Stephen Tolson surprised nearly everyone in the room when he said there are more than 110 homeless families in the county that need help. Tolson said finding jobs is not the problem. Many of the homeless, he said, have jobs. The problem is finding affordable housing for people in low-paying jobs. There was also a discussion other issues that lend themselves to collaboration between the two governments – a local transportation and road improvement tax, downtown revitalization, a truck route around the city and the future of the airport. Headley pointed out that a local transportation and road improvement tax collected over a five-year period could generate up to $50 million, all of which could be used to fund only local roads and bridges. He added there is a possibility the Georgia Department of Transportation would match whatever amount the tax generates. City officials said rerouting truck traffic around the city is the key to revitalizing the downtown area. DAWSONVILLE, Ga. – Dawson County’s 2019 millage rate is set at 8.138. During Thursday’s third and final public hearing, commissioners voted 3-1 to keep the rate the same as it has been for the last 10 years. The rollback rate of 7.393 would have generated the same amount of revenue as it has in 2018. Passarello said his position had evolved over the past several months from one supporting the current millage rate to where he could see the argument for a rollback rate. District 2 Commissioner Chris Gaines made a motion for the millage rate be set 8.0635. District 3 Commissioner Jimmy Hamby asked how much that would save individual homeowners. Finance Director Vickie Neikirk came up with a quick calculation of about $7.45 on a $250,000 home. The motion failed 3-1. After two weeks of open departmental budget hearings, commissioners felt they needed the extra revenue to balance the budget, improve the infrastructure provide the services citizens want. Commissioners also voted to impose the maximum impact fees on new development, again on a 3-1 vote with Gaines opposed. The maximum fees include $3,400 for a new home, $1.88 per square foot for a super market and $1.64 per square foot for a shopping center. She asked commissioners to consider adopting impact fees at 25 percent of the maximum for at least the first year and she pointed out that the maximum rate would place a higher cost of doing business in Dawson County than much larger counties like Hall, Forsyth and Cherokee. Chairman Billy Thurmond, who does not have a vote except in the case of a tie, said, “I think it would be in the best interest that we start the business category at 25 percent.” He stated, the fee could always be raised if it did not appear to discourage desired businesses from moving to the county. 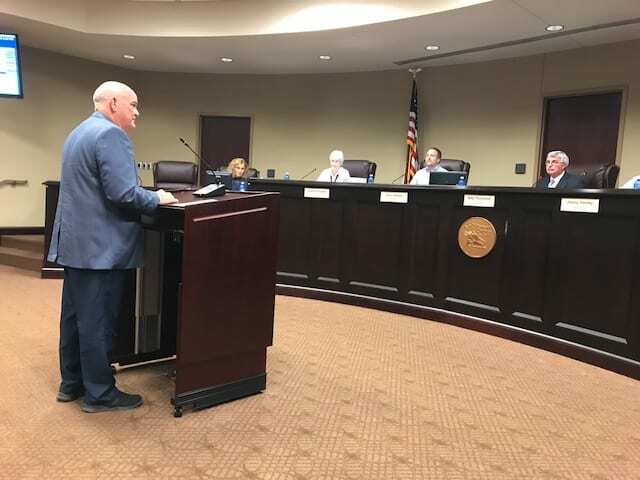 DAWSONVILLE, Ga. – On the second day of county budget hearings, it was time for the public defender’s office, elections and voter registration, extension service, finance department and public works to present their requests. Director of Elections and Registration Glenda Ferguson requested a decrease of $9,875 since 2018 is a non-election year and fewer part-time personnel will be needed. Extension Agent Clark MacAllister asked for a slight increase of about $5,000 to replace an antiquated analog phone system and a copier and fax machine. Brad Morris in the Public Defender’s office requested an increase of $17,638 primarily to fund the hiring of two additional personnel. Commissioner Sharon Fausett wanted to know if defendants are required to prove that they are indigent before they receive taxpayer funded legal representation. Morris said there is a standardized state form defendants are required to complete to determine if they qualify as indigent. “Is it that they don’t pay anything at all,” Fausett asked. Morris explained the defendant must pay $50 for an interview and there is some payback through probation fees. “The judge can also order them to pay some attorney fees,” he said. Finance Director Vickie Neikirk’s budget request was for an additional $33,000, most of which was to pay for the Board of Commissioners-approved county employee pay raise combined with an increase in group insurance. Public Works Director David McKee asked for the largest total increase, but it would be spread over several diverse functions that fall under the Public Works Department umbrella – Administration, GIS, Roads, and the Transfer Station. An increase in his administrative budget comes from the movement of the stormwater management position from the planning and development department to public works. It is more of a shifting of funds than an actual increase for the county. If approved, the transfer station would get an increase of $122,052 but that does not affect the general fund budget since it is covered by the revenue-bearing solid waste fund which currently has a balance of $1,796,130. Roads department would get an increase of $74,907 while administration would receive an additional $63,397. The GIS/Engineering budget would be reduced by $9,875. McKee requested the addition of two new positions in the roads department and that three part-time positions be combined into two full-time positions to create a four-man mowing crew. The crew’s responsibility would be mowing 40 hours a week during the growing season then switch to cutting back limbs and assisting in cleaning the county right of ways. McKee said a full-time mowing crew could help transform public works from being reactive to proactive. Commission Chairman Billy Thurmond welcomed the addition of a full-time mowing crew. He pointed out the crew would be beneficial since it would allow other public works crews to get more road work done and reduce the need to bid road work out. McKee also asked for one new position to work at the transfer station. Next Article » Chamber Chatter-Ribbon cuttings and Business Luncheon this week! DAWSONVILLE, Ga. – There were no surprises in Tuesday’s general primary election in Dawson County. District 9 State Rep. Kevin Tanner (R-Dawson) easily beat back a challenge from Forsyth County’s Mark Hajduk, winning 80.88 percent of the votes (1,929) to Hajduk’s 456 votes. Tanner’s victory was widely anticipated. He is the highly respected former Dawson County Manager, as well as a former firefighter and chief deputy for the Dawson County Sheriff’s Office. He also had a sizable geographic advantage because 90 percent of the voting population resides in Dawson County. Former Deputy Fire Chief Tim Satterfield and District 3 County Commissioner Sharon Fausett can now take a deep breath and wait to take the oath of office in January. Neither Satterfield, who will replace Jimmy Hamby on the Board of Commissioners, nor Fausett had a primary challenger. 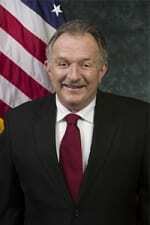 At-large Board of Education member William S. Wade will also return to that post. Wade was unopposed. 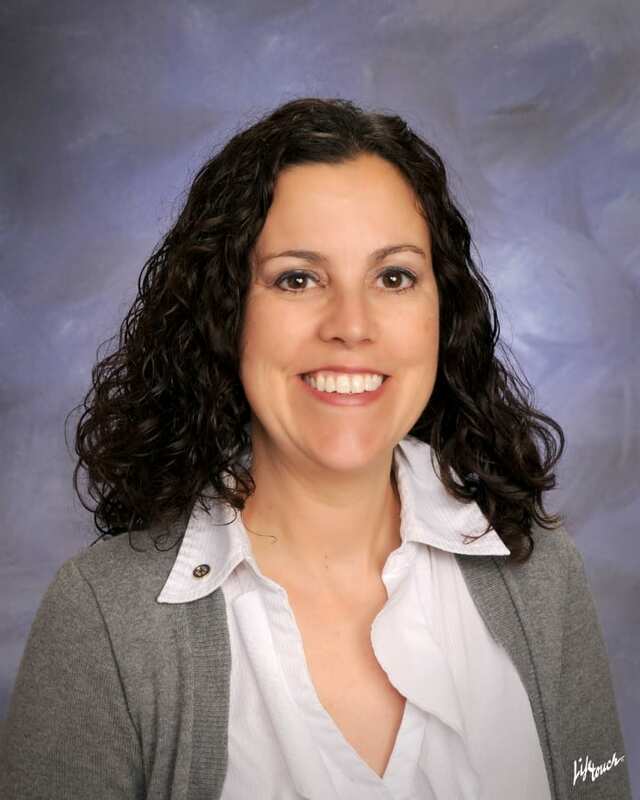 District 3 Board of Education member Karen Armstrong defeated her primary challenger, Joe Stapp, winning 1,825 votes to 786. House Speaker David Ralston defeated Margaret Williamson 5,750 to 2,009 in the race for Georgia House District 7. 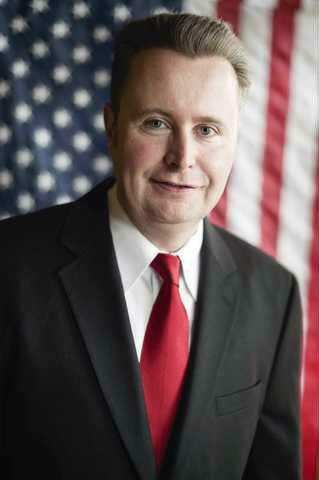 District 51 State Senator Steve Gooch did not have a primary opponent. Publix Customer Service Manager Nicholas Kirkland, Dawson County Manager David Headley and Publix Assistant Meat Manager Jim Ferrante with the 10 turkeys and two hams the supermarket provided Dawson County at a discount. 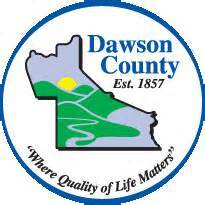 DAWSONVILLE, Ga. – Dawson County employees do their best to serve the citizens of Dawson County, so County Manager David Headley and the county commissioners decided it was high time they returned the favor. Headley, Chairman Billy Thurmond and commissioners Jimmy Hamby, Julie Nix, Chris Gaines and Sharon Fausett purchased the turkey and ham and served a Thanksgiving potluck luncheon at Veterans Memorial Park. Employees could either sit down for their meal or take it to go. An estimated 125 county workers participated. 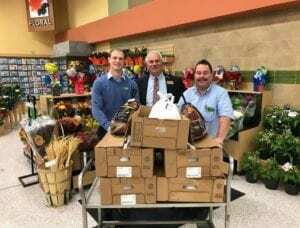 Publix in Dawsonville partnered with the county to provide 10 turkeys and two hams at a discounted price. “We would like to thank our friends at Publix for the delicious meat; those who prepared it, Ricky Rexroat of Emergency Services and David McKee of Public Works; and Commissioners Billy Thurmond, Sharon Fausett, Chris Gaines and Julie Hughes Nix for taking time to help serve the meal,” Headley said. DAWSONVILLE, Ga. — Following a public hearing Thursday, the Dawson County Board of Commissioners granted two variances to allow Hibbymo Properties Nix Br., LLC, to move forward with development of a Dollar General store at the intersection of Harmony Church and Nix Bridge roads. The 1.73 acre property is zoned Commercial Community Business (CCB) which restricts buildings to a maximum of 5,000 square feet and requires five parking spaces per 1,000 square feet. The variances will allow Hibbymo to construct a 9,100 square foot store with 33 parking spaces instead of the 46 that would otherwise be required. 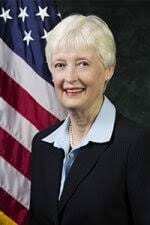 Commissioner Sharon Fausett was on vacation and did not attend the meeting. Commissioners Chris Gaines, Jimmy Hamby and Julie Nix all voted to allow the variances but added several conditions proposed by Gaines. The conditions included: ensuring the entrance is on Harmony Church Road, lighting doesn’t bleed off the property, no merchandise sold outside the store, gating around the dumpster area and the development meets or exceeds Ga. 400 corridor guidelines. A total of six area residents rose to speak in opposition to the development but their objections were based mostly on a Dollar General store being built in that area. But the property has been zoned commercial for many years and the decision to allow a Dollar General to be built was made months ago. Thursday’s public hearing was only for the variances. Judy Clack noted that the Dawson County Planning Commission recommended denial of the variances. She also expressed concern about the added strain the development will place on traffic at the intersection of Harmony Church and Nix Bridge roads, especially with the tractor/trailer deliveries to the store. Others expressed concern about the possible increase in crime in the area. DAWSONVILLE, Ga. — The Georgia Department of Transportation (GDOT) could begin work immediately on access controls where Ga. Hwy. 400 intersects with Kilough Church Road and the North Georgia Premium Outlets after Dawson County Commissioners voted last night to authorize a letter of support for the project. The Right In Right Out Left In (RIROLI) access controls will be fully funded by GDOT and should cause minimal inconvenience to motorists since the work will all be done within the existing Right of Way. Commissioners Sharon Fausett and Chris Gaines missed last night’s meeting while attending training. Their absence required Chairman Billy Thurmond, who usually votes only in the case of ties, to vote on all issues. The three-person Board voted unanimously to apply for a GDOT grant to fund the repair of a wing wall off Dawson Forest Road along Blacks Mill Creek damaged in last year’s storm. Commissioners also approved the purchase of a side arm mower and utility tractor mower to replace three tractors that are no longer serviceable at a cost of $210,000. The equipment will be purchased with SPLOST VI proceeds. In addition, commissioners approved a Drug Treatment Services request to apply for a state grant in the amount of $279,514 to bring HELP Program under Treatment Court as a mental health court track. A county match of $31,057 is required from county funds. 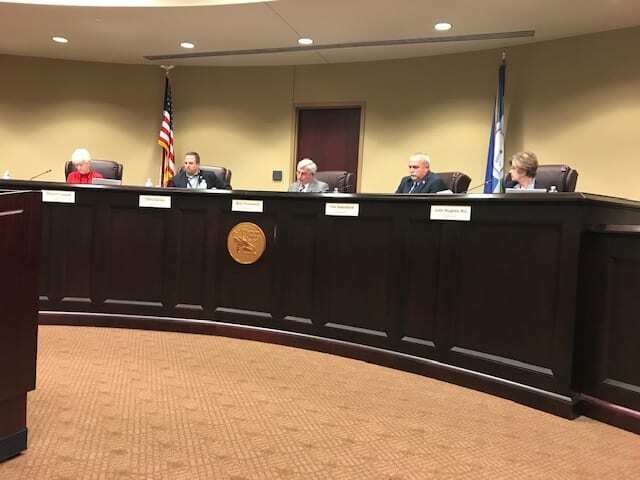 The Board also agreed to renew an intergovernmental agreement (IGA) with the City of Dawsonville authorizing the county to organize and implement all municipal elections and another IGA with with Etowah Water and Sewer Authority regarding the Taffer Road Gravity Sewer Line. Commissioners authorized two resolutions to be sent to the City of Dawsonville, one expressing opposition to the city’s purchase of the airport located in Dawson County and it’s future operations and another expressing opposition to a request by Atlanta Motorsports Park (AMP) to relax noise and light restrictions. During the Public Comments period, Jonathan Wolfe asked commissioners to revisit the Paladin Wireless issue. Paladin is a Royston-based wireless internet provider that has proposed placing antennas on the roof of the courthouse. The company said that by doing so it can provide internet access to 400 customers who do not have access. But commissioners tabled the issue last month to give the company time to provide additional information they requested and Chairman Billy Thurmond said the company has not yet responded. District 3 Commissioner Jimmy Hamby expressed real concerns about liability issues and whether county taxpayers would be responsible to pay for any damage to the roof or injuries to Paladin personnel who have access to the roof. Hugh Stowers spoke to the Board about improving communications with its citizens. Mr. Stowers pointed out there are some major projects on the horizon and that citizens need to be fully informed.